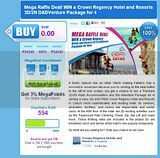 special day: Mega Raffle Deal! 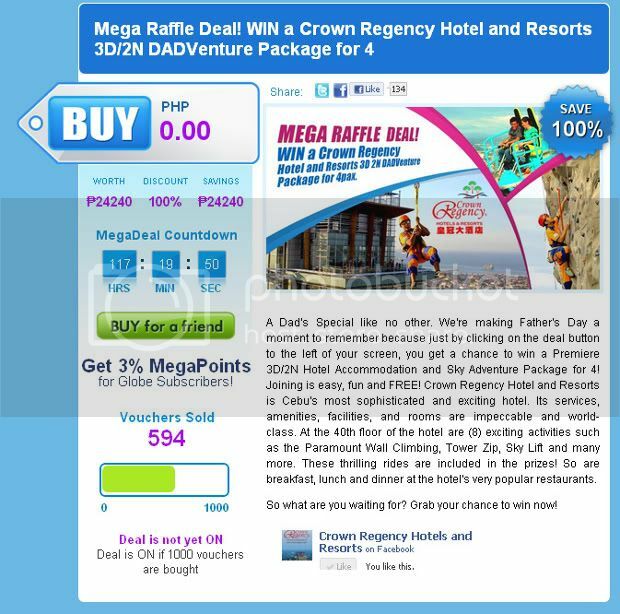 WIN a Crown Regency Hotel and Resorts 3D 2N DADVenture Package for 4 brought to you by MegaDeals.ph! A Dad's Special like no other. We're making Father's Day a moment to remember because just by clicking on the deal button to the left of your screen, you get a chance to win a Premiere 3D/2N Hotel Accommodation and Sky Adventure Package for 4! 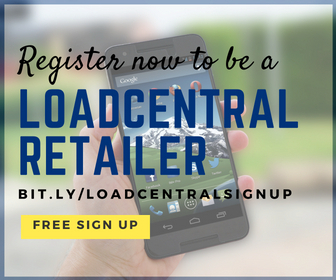 Joining is easy, fun and FREE! Crown Regency Hotel and Resorts is Cebu's most sophisticated and exciting hotel. Its services, amenities, facilities, and rooms are impeccable and world-class. At the 40th floor of the hotel are (8) exciting activities such as the Paramount Wall Climbing, Tower Zip, Sky Lift and many more. These thrilling rides are included in the prizes! So are breakfast, lunch and dinner at the hotel's very popular restaurants. So what are you waiting for? Grab your chance to win now! How much is the discount voucher? This megadeal voucher costs Php 0.0! What? As in ZERO? Yes!!! 100% discount! A perfect gift to our Dad this Father's Day! Simply click the BUY Button. Get your raffle deal voucher on your email. That’s it! Wait for the announcement on June 18, 2011 and, who knows, you might just be our winner.